America is the land of opportunity - and those opportunities have many forms. One way people build up and achieve their dreams is through investing in a franchise. Money, of course, is the top motivator for this type of investment, but taking on the challenge can be attractive as well. The largest franchises in the world became so successful by trying - and failing occasionally along the way. Following are some lessons from top franchisees that will help your franchise investment achieve and maintain success. There are so many different types of franchises from which to choose. It is important to select a franchise that fits your personality and lifestyle. If the clothing and fashion industry interests you, look into a retail franchise. If cuisine and culinary arts are more exciting, look into a restaurant franchise. Learn and understand both the needs of the industry you're most attracted to as well as the options available, and be sure it's what is best for you at this time. As Mary Lambie would say, "Choose something you believe in." There isn't a business out there able to produce anything without an effective staff. A business's employees are the foundation of that business, and they must be considered and selected carefully. Choose staff that meets specific criteria. Be sure that the team has the most effective and efficient training. A happy, content employee is more productive and reliable, so always treat the staff with respect and dignity - they'll reciprocate with hard work and motivation. Whether the franchise is selling food, clothing, or automotive care, customer-centered franchises set themselves apart from the competition. If customers have good experiences, they'll become loyal customers. Amazon is a great example of a customer-centered business. They offer free shipping on orders over $35. This is a small loss initially, but it establishes loyalty and leads to a huge gain in the long run. Amazon also focuses on buyer feedback to improve their customers' experiences. If there is a problem, Amazon's customer service does everything in their power to correct the mistake. And don't even get me started on all the ins and outs of Amazon Prime. The takeaway? Happy consumers equal loyal customers, and that results in reliable profit. Investing in a franchise isn't all champagne showers and cash baths. There will be setbacks, mistakes will be made, and some money will be lost at the beginning, for the most part. It is vital that you evaluate the errors that are made - and learn from them. As Donald Trump says, "It's just a blip." It's agreed that Donald Trump is powerful with an exceptional mind for business, but he too has experienced failures and missteps. Several of his companies have had to claim bankruptcy due to poor decision-making and careless deals. Trump lost billions, but he didn't cower. He found the problem, corrected it, and made back the money lost, plus more. It's important to understand the risks and accept the downfalls. Then do what you can to improve - your franchise will be stronger for it. Investing in a franchise can be intimidating; there's no shame is asking for help. Finding a mentor within the industry is a great way to get ahead of the game. 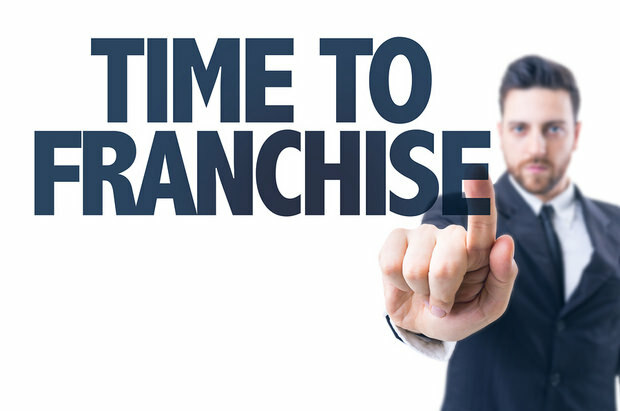 When things in the franchise begin to overwhelm, don't hesitate to pick up the phone or send an email to a mentor or fellow franchisee within your franchise family. Most people are excited to help when someone comes to them with enthusiasm and sincerity. America is still full of opportunity, and investing in a franchise is a great way to experience the business world and all its spoils. It is important to know the risks, understand the required work, and to accept the probable failures that can happen. Preparing for a franchise investment takes a lot of work, and by learning from the top franchises and businesspeople in the world, your franchise can become lucrative and extremely beneficial. To learn more about some of the country's best franchises, check out our franchise directory. Lorena Brockman is a blogger for JennsBlahBlahBlog.com and has notable know-how in blogging, travel, fashion, and business, and has been deemed "Greatest Auntie Ever" by many. To learn more about Lorena, visit her company's blog at JennsBlahBlahBlog.com.